Price Reduced for a Limited Time Only!!! Amazon Prime Members pay $18.36! This is a GREAT discount!! For nearly six years, acclaimed author, speaker, podcaster, and Main Street Vegan Academy director, Victoria Moran, has trained individuals to become vegan lifestyle coaches and educators. Now, Victoria has teamed up with one her Academy alums turned faculty member, cookbook author, culinary instructor, and radio host, JL Fields, to bring that very same coaching to you. 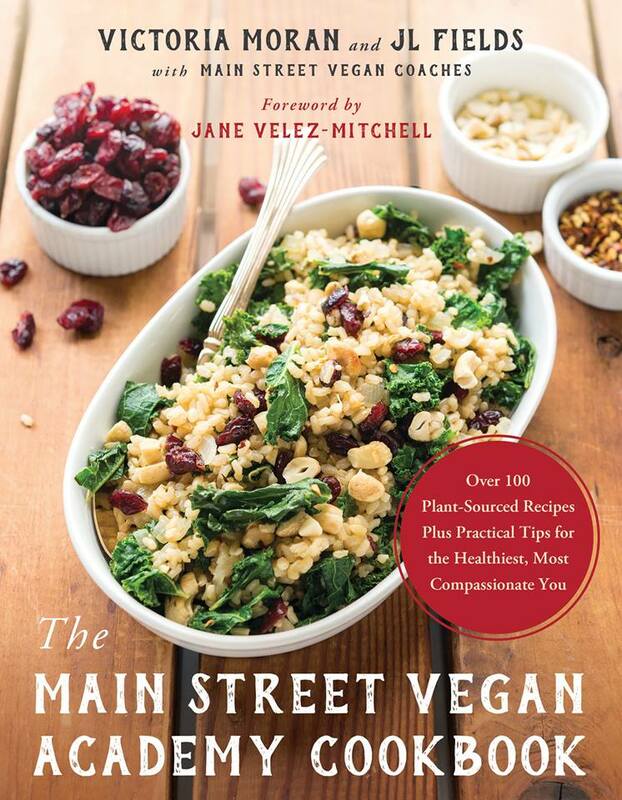 In The Main Street Vegan Academy Cookbook, Victoria and JL, along with over a hundred certified vegan lifestyle coaches, join you in the kitchen as you navigate more than 100 of their favorite plant-sourced recipes. Whether you’re new to the diet or a seasoned plant-based eater, vegan or just veg-curious, their tips, tricks, shortcuts, and strategies will transform your cooking, your eating, and your life. Embrace a healthier, more compassionate you, with Victoria, JL, and the rest of the Main Street Vegan Academy coaches by your side.